Balanced gene expression is a high priority in order to maintain optimal functioning since alterations and variations could result in acute consequences. X chromosome inactivation (X-inactivation) is one such strategy utilized by mammalian species to silence the extra X chromosome in females to uphold a similar level of expression between the two sexes. 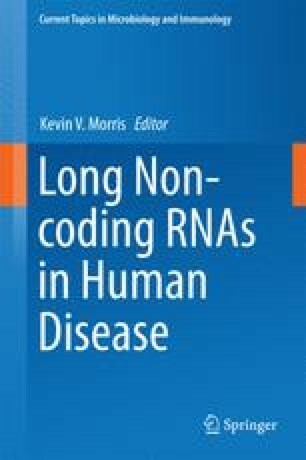 A functionally versatile class of molecules called long noncoding RNA (lncRNA) has emerged as key regulators of gene expression and plays important roles during development. An lncRNA that is indispensable for X-inactivation is X-inactive specific transcript (Xist), which induces a repressive epigenetic landscape and creates the inactive X chromosome (Xi). With recent advents in the field of X-inactivation, novel positive and negative lncRNA regulators of Xist such as Jpx and Tsix, respectively, have broadened the regulatory network of X-inactivation. Xist expression failure or dysregulation has been implicated in producing developmental anomalies and disease states. Subsequently, reactivation of the Xi at a later stage of development has also been associated with certain tumors. With the recent influx of information about lncRNA biology and advancements in methods to probe lncRNA, we can now attempt to understand this complex network of Xist regulation in development and disease. It has become clear that the presence of an extra set of genes could be fatal for the organism. Only by understanding the precise ways in which lncRNAs function can treatments be developed to bring aberrations under control. This chapter summarizes our current understanding and knowledge with regard to how lncRNAs are orchestrated at the X-inactivation center (Xic), with a special focus on how genetic diseases come about as a consequence of lncRNA dysregulation. The authors wish to thank members of the Ogawa Lab for helpful comments and Serenity Curtis for editing the manuscript. This work was supported by grant from the NIH (RO1-GM102184) and the March of Dimes Research Foundation (#6-FY12-337) to Y.O.